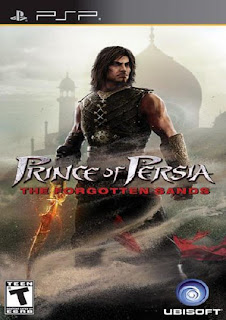 Prince of Persia: The Forgotten Sands - is a new chapter for fans grown fond of the universe Sands of Time. During a visit to his brother Prince is a royal palace under pressure from the powerful army. In the name of saving the kingdom from complete destruction, he decided to apply the ancient magical powers of the Sand! Play Prince of Persia: The Forgotten Sands - is an epic adventure, where every step of the hero lurks danger! Send an adventure with Prince and experience the power of the Sand! Destroy those who are responsible for the deaths of your family. Use the acrobatic skills of Prince in the continuation of the famous game "Sands of Time". Fight your enemies, avoid deadly traps and puzzles to unravel the complex to fulfill its mission. Continuation of the outstanding action of the prince of Persia. The original combat system with advanced acrobatics. Graphic execution of the highest quality.